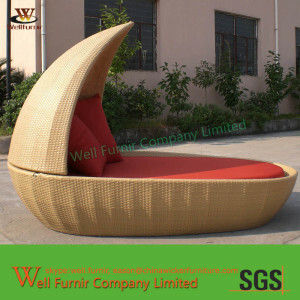 Well Furnir Company, Our Outdoor Rattan Daybed is second to none. 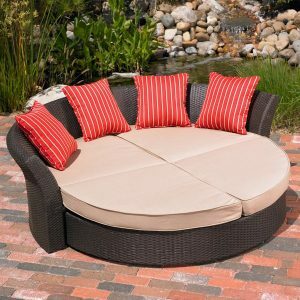 The covered outdoor loveseat provides plenty of space for two and the canopy protects you from the sun. Whether reading a book, daydreaming or spending some quality time with your partner, the canopy daybed is the ideal piece of outdoor furniture to do all that and more. The covered outdoor loveseat quickly converts into a seating set with coffee table when desired. It consists of a 2-piece daybed with a comfortable high density cushion and a coffee table with glass top that can be conveniently stored away under the unit. Let Well Furnir outdoor furniture turn your patio into a backyard oasis. 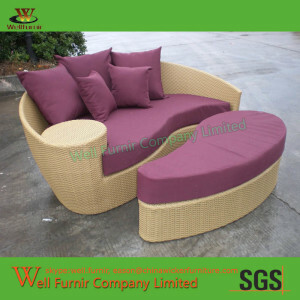 We are your one source for full series of rattan garden furniture. 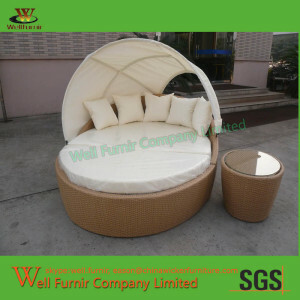 I would like to know how much two of these wicker daybeds cost including shipping to Palm Desert CA, USA 92260? I would like to import. Can you please tell me the price for 5 x above. We’ve responsed to your mail. Please check your mail for more quotation.